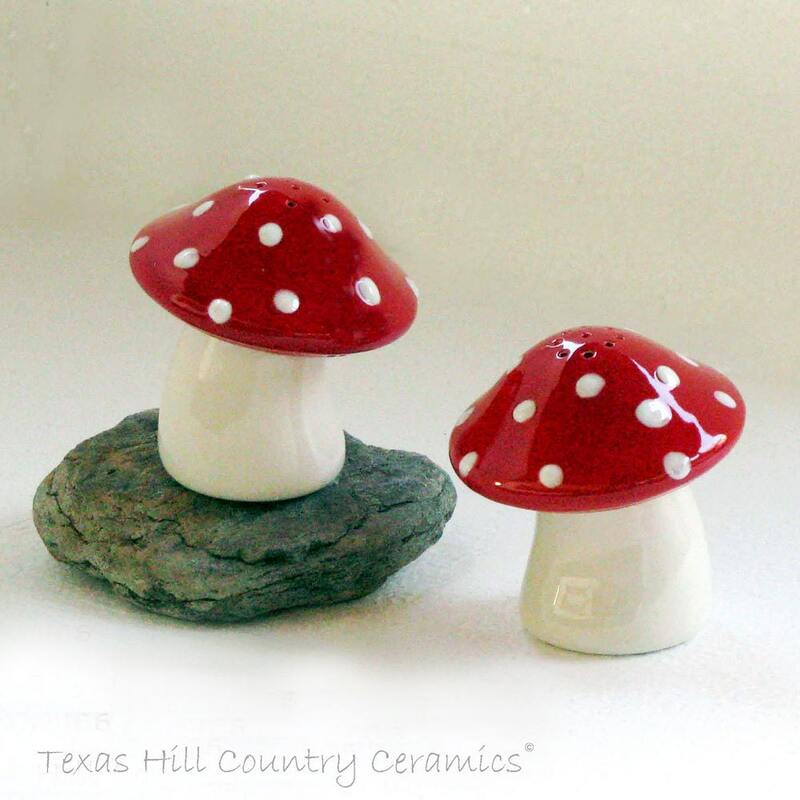 This set of ceramic mushroom Salt and Pepper shakers is made of domestic ceramic clay using a vintage mold. 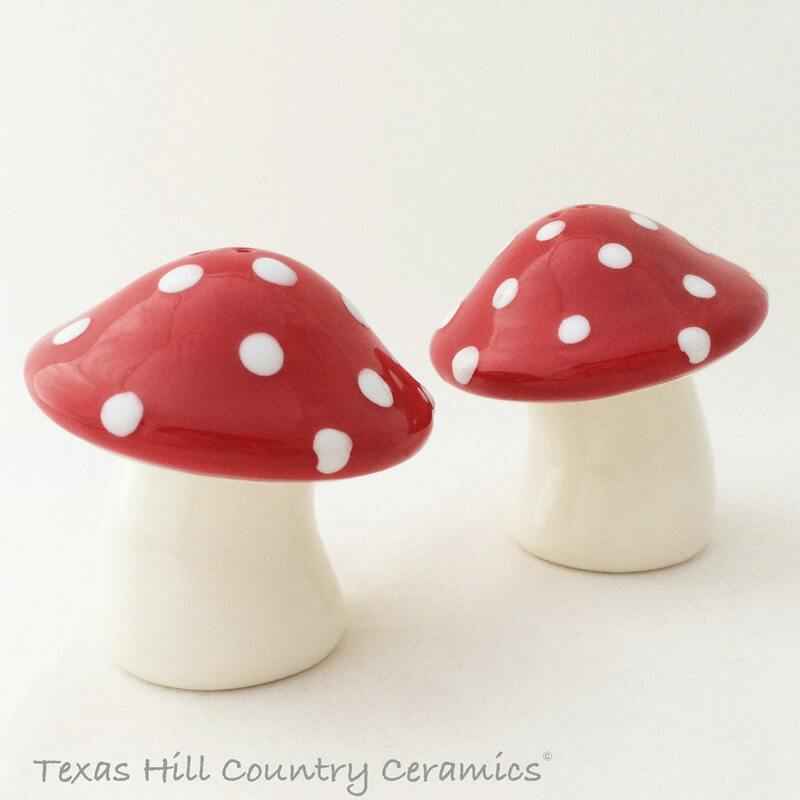 The large cap of each mushroom shaker is finished in bright red and with textured white spots, the stem is natural white. Ideal for kitchens, stoves and tables. Great for outdoor BBQ's or picnics. • diameter of the stem is 1 3/4 inches. A plastic stopper is in the bottom of each mushroom for easy filling. Due to the type of underglaze used the placement of the white dots on the mushroom cap will vary from the one in the photo, the white spots are textured and have their own natural looking characteristics. All glaze used is non-toxic, lead free and people friendly.